We've evolved into a design house and manufacturer by building on five decades of practical design experience informed by continuing dynamic inspiration. Under the family's second generation leadership, we're always trying new ideas, studying, evaluating and adjusting the line quickly. This process ensures our designs are of the moment, yet grounded in the authenticity that helped us get where we are today. We've maintained the fundamental family values of founder abraham kleinberg. "Mr. K" has never taken shortcuts to produce any product. He's always dealt fairly with customers and vendors. Everything he did represented a genuine, sincere effort to bring pleasing products to fashion-conscious, design-savvy customers. 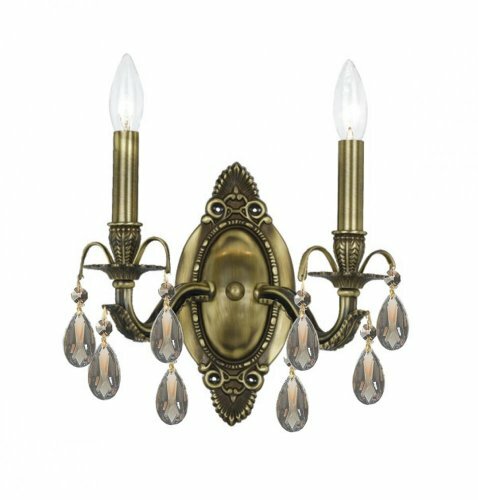 The Crystorama 4472-AB-GT-MWP Maria Theresa collection Sconce Wall Lighting in Antique Brass uses Incandescent light output and brings Antique style. This item is 13"H x 11"W x 7"D. The total wattage is 120 and the voltage is 120 volts. 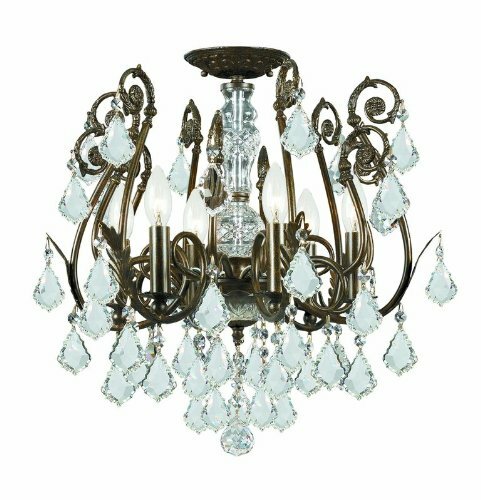 The Crystorama 4472-AB-GT-MWP requires 2 bulbs. 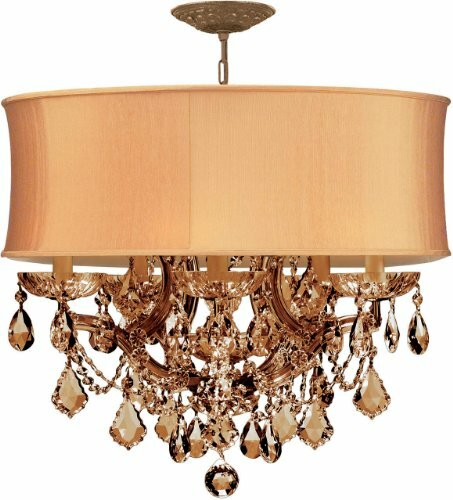 Additional Information: Shade-Golden Teak Majestic Wood Polished Crystal. 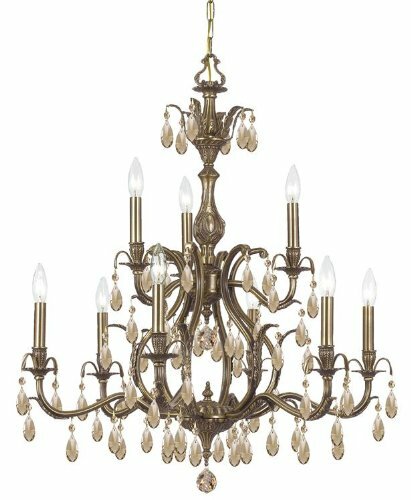 The Crystorama 4474-AB-GT-MWP Maria Theresa collection Chandelier Lighting in Antique Brass uses Incandescent light output and brings Antique style. This item is 16"H x 17"W. The total wattage is 240 and the voltage is 120 volts. 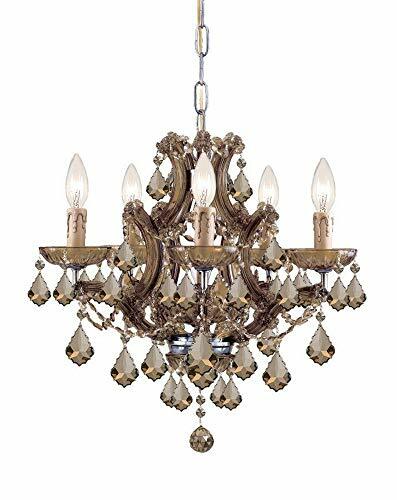 The Crystorama 4474-AB-GT-MWP requires 4 bulbs. 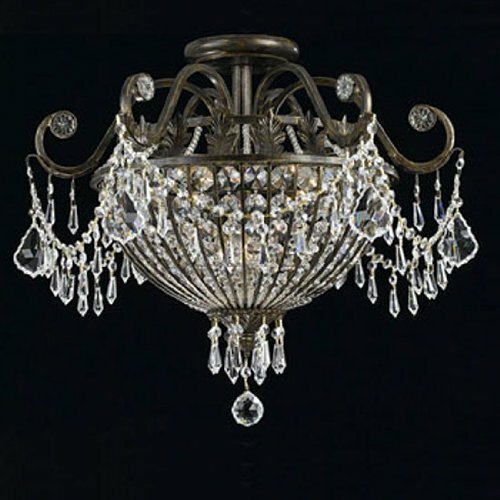 Additional Information: Shade-Golden Teak Majestic Wood Polished Crystal. 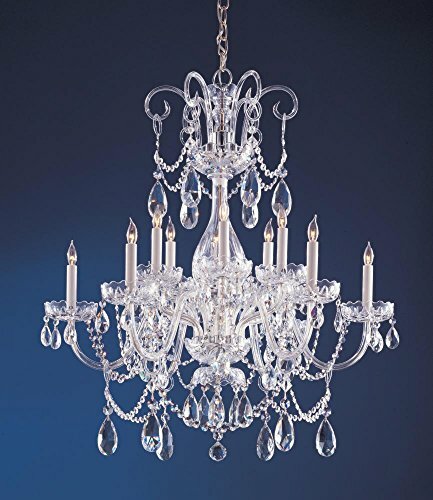 There's undeniable magic when light meets crystal or glass. It sparks the same fire one sees when light meets precious and semi-precious stones. Great lighting often takes styling cues from jewelry as well, with its primary use of gold and silver tones. 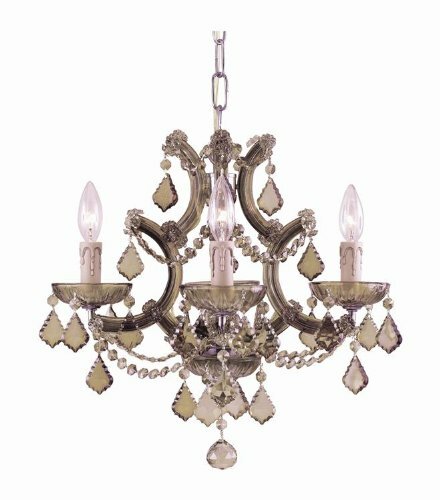 Just like an outfit isn't complete without the perfect necklace, bracelet or earrings, a room isn't complete until it has lighting that adds the WOW factor when you walk in. 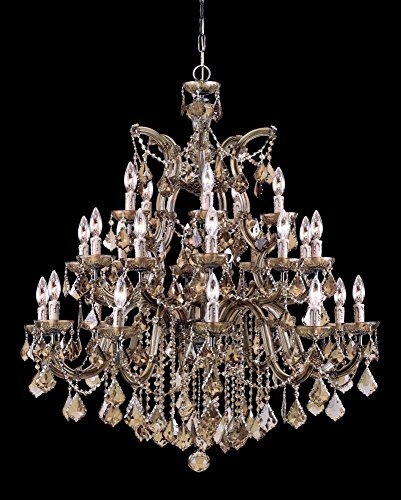 4474-AB-GT-MWP Crystal Type: Golden Teak Polished Features: -Chandelier.-Majestic Wood Polished: Hand cut on an iron then on a sandstone wheel; each piece is authentic and contains lead to make the crystal more reflective.-Swarovski Strass: Finest crystal in the world; laser cut for razor sharp cutting of facets; treated with invisible coating and contains lead to make the crystal more reflective. Includes: -Includes 3 feet of chain and 6 feet of wire. 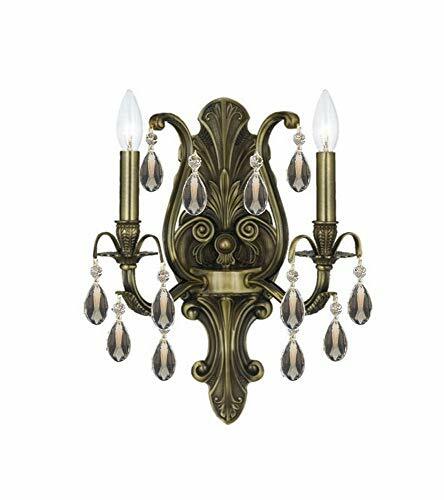 Specifications: -Accommodates (4) 60 watt candelabra base incandescent bulbs (not included). 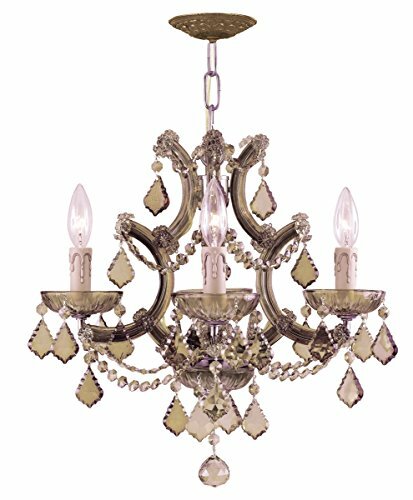 Dimensions: -Overall dimensions: 12.5'' H x 15.75'' Dia. 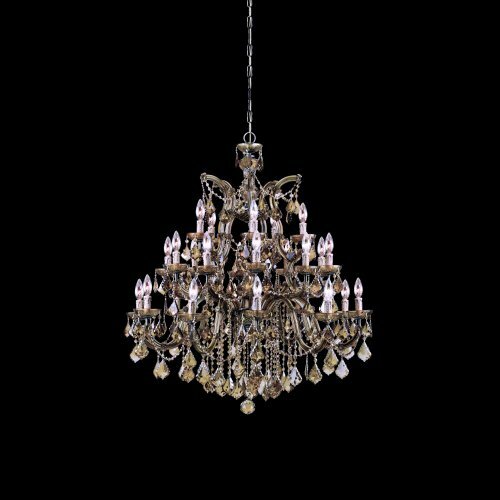 Collection: -Bohemian Crystal Collection. The Crystorama 4415-AB-SHG-GTM Brentwood collection Chandelier Lighting in Antique Brass uses Incandescent light output and brings Decorative style. This item is 19"H x 4.5"W. The total wattage is 420 and the voltage is 120 volts. 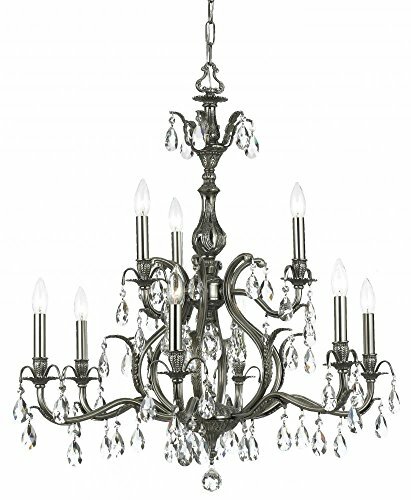 The Crystorama 4415-AB-SHG-GTM requires 7 bulbs. 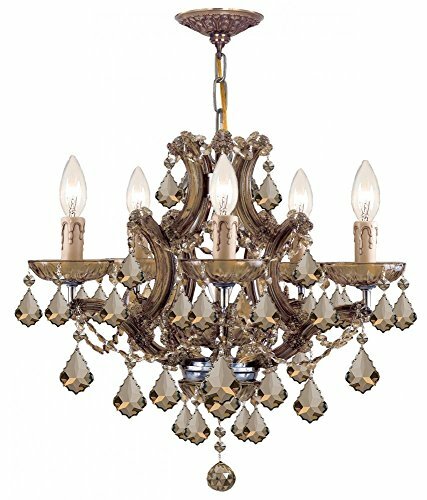 Additional Information: Shade-Golden Teak Majestic Wood Polished Crystal. 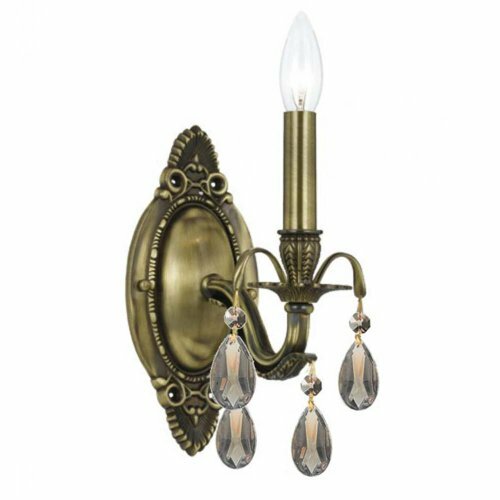 Crystorama 5562-AB-GT-MWP Dawson Golden Teak Handcut Sconce - 10.5W in. 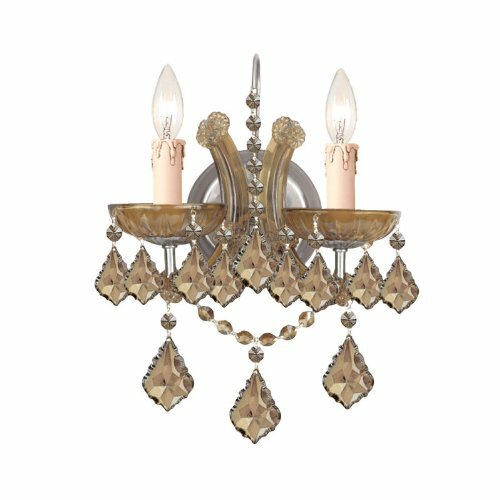 Inspired by traditional European designs, the Regis collection combines hand-painted iron frames with pendalogue shaped crystals and beaded swags. 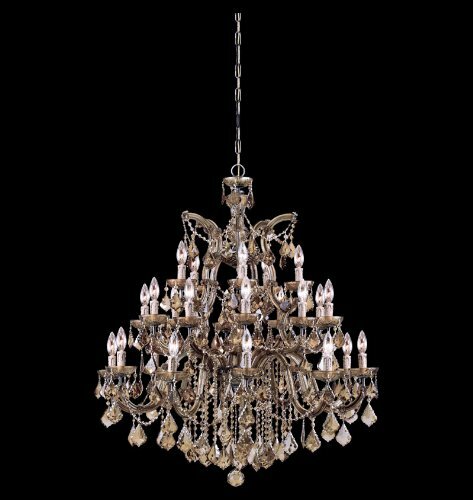 The warm golden teak crystals bring out the gold brushstrokes in the English bronze painted finish, while clear crystals sparkle when paired with the olde silver finish.